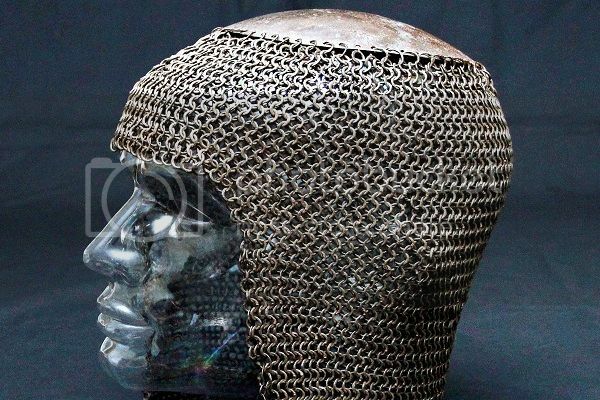 This mail coif has belonged to the museum of my home town Enköping since 1909. I haven't seen it myself (yet) but I read about it in the local newspaper. The rings seems to flat and riveted. I don't know of every row has rivets. According to a expert on metallurgy the iron is made in a blast furnace. I get a feeling of eastern origin. What do you think? Got back from the museum. The rings are flat, the rivets round and every second row seems to be riveted. I'll say India, Pakistan or maybe Tibet. What do you think? 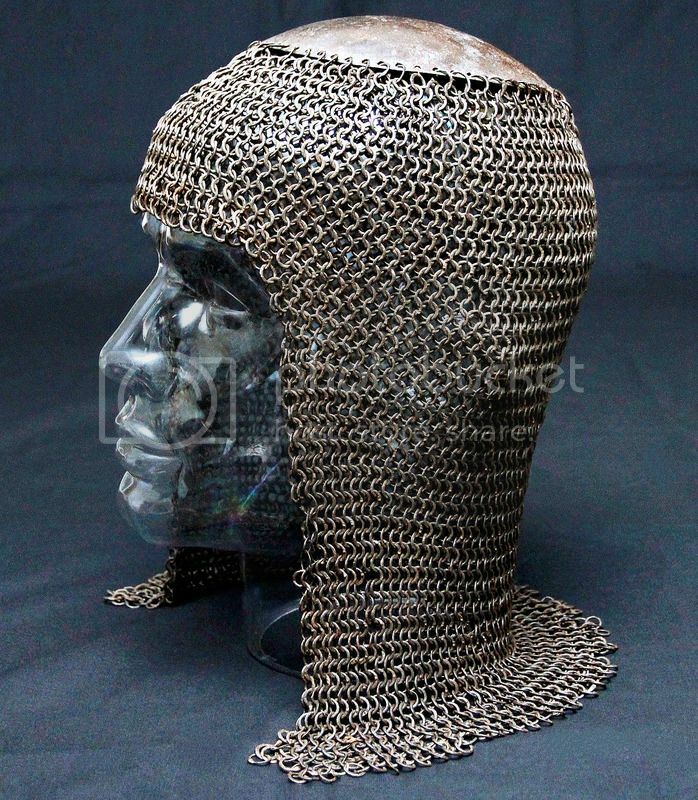 Maybe a north Indian kulah zirah [mail coif]. The head cap seems unusual. Woah, you already posted that. swordflasher wrote: Maybe a north Indian kulah zirah [mail coif]. The head cap seems unusual.